Thomas Cromwell came from a modest background, so tracking his movements during the early part of his life is not easy. The Cromwells were originally from Norwell in Nottinghamshire (1) but by the time of his father’s birth, they were settled in south-west London. Thomas was brought up in Putney, where they had a house not far from the River Thames in Brewhouse Lane (2). An exact date for Cromwell leaving home is not known, but it is likely to have been around the turn of the sixteenth century. For the next ten years or so, he travelled in Europe, first in the French army, although he apparently left after the overwhelming defeat at Garigliano in 1503, and then in Florence, the centre of the cultural renaissance that was spreading across Europe. Following that, he lived and worked in Antwerp for a period, during which time he made a range of contacts with merchants involved in the cloth industry. On returning to London, around 1512, he seems to have set up home in Fenchurch Street (3). The street is still there, but no trace remains of any sixteenth centuries homes.It is likely he lived here with his wife, Elizabeth Wykys, whom he married some time before 1516, as he developed a career as lawyer, cloth merchant and moneylender. Church of St Mary & St Botolph, Boston - the Boston Stump. Cromwell did work for the Guild. 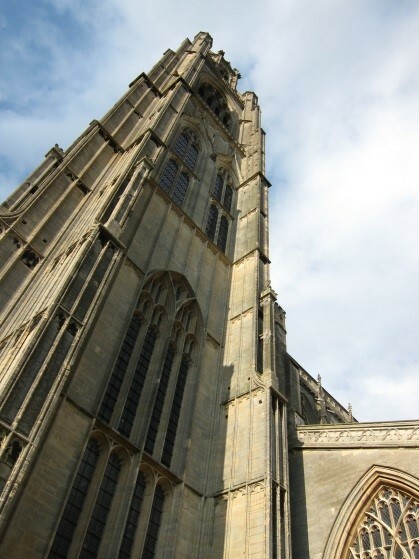 One of Cromwell’s earliest recorded legal clients was the Guild of the Church of Our Lady, Boston, Lincolnshire (4) (the church itself is now known as the Boston Stump). He made a successful visit to Rome on the Guild’s behalf. When Cromwell entered Wolsey’s service, sometime around 1519, he was employed on property and financial matters. 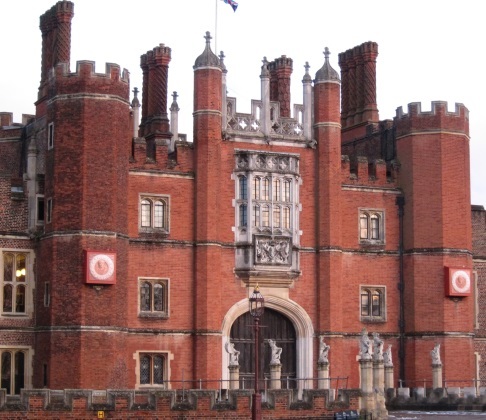 His most important role, which he carried out with remarkable diligence, was the dissolution of the religious houses whose revenues were to be diverted to the building of Wolsey’s colleges at Ipswich (5) and Oxford (6).He also oversaw the building works, and the entire setting up of the new foundations. This activity necessitated a good deal of riding about between the various locations involved. In 1523, Cromwell entered Parliament. At that time Parliament usually met in Westminster Hall (7), the fabulous hall dating from the reign of Richard II that still remains and has witnessed so much of English and British history.The Parliament lasted seventeen weeks, and Cromwell wrote to a friend that matters ended pretty much as they had begun. Whilst in Wolsey’s household, Cromwell would have spent a good deal of time at York Place (8). 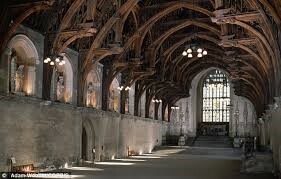 This was rebuilt by Henry VIII as the royal palace of Whitehall. Cromwell was closely involved in both the legal niceties required for Henry to have a valid title to the lands, and also the refurbishment works. Hampton Court (9) too was a place where Cromwell would have spent a good deal of time, both in service to Wolsey, and later, when it was one of Henry VIII’s favourite palaces. Cromwell was aware of how unpopular Wolsey had made himself through his extravagance and magnificent style of life, thought by the nobility to be quite incompatible with his humble beginnings. Cromwell was certainly not going to make that mistake. He had a house near the convent of the Austin Friars (10) in the City of London. Again, the street name remains, but there are no traces of sixteenth century life. Here he seems to have spent much of his personal life, wining and dining the city merchants who were his friends. He also had an official residence at Rolls House, Chancery Lane (11), in his capacity as Master of the Rolls. 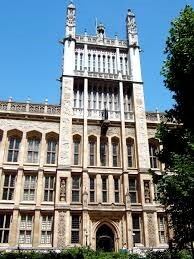 This has since been replaced with the Maughan Library, a neo-gothic fantasy. Service to the King had its rewards – Cromwell built up an impressive property portfolio in and around London. 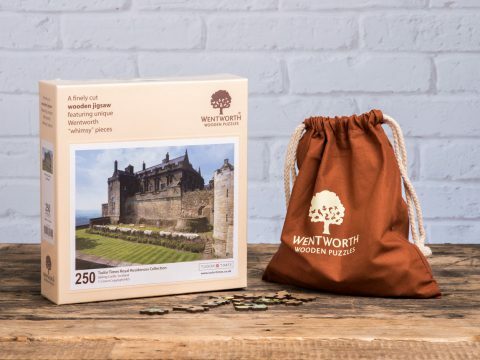 Amongst his properties, he had a house at Stepney (12), where he interrogated Mark Smeaton in a quest to find evidence against Anne Boleyn, and estates out of town at Mortlake (13) and Ewhurst (14).No traces of these survive. Although he had property outside the capital London, Cromwell was always a Londoner, and even in death, he remained within a stone’s throw of the City. His final days were spent in the Tower of London (15), and his remains lie there still. This article is part of a Profile on Thomas Cromwell available for Kindle, for purchase from Amazon. 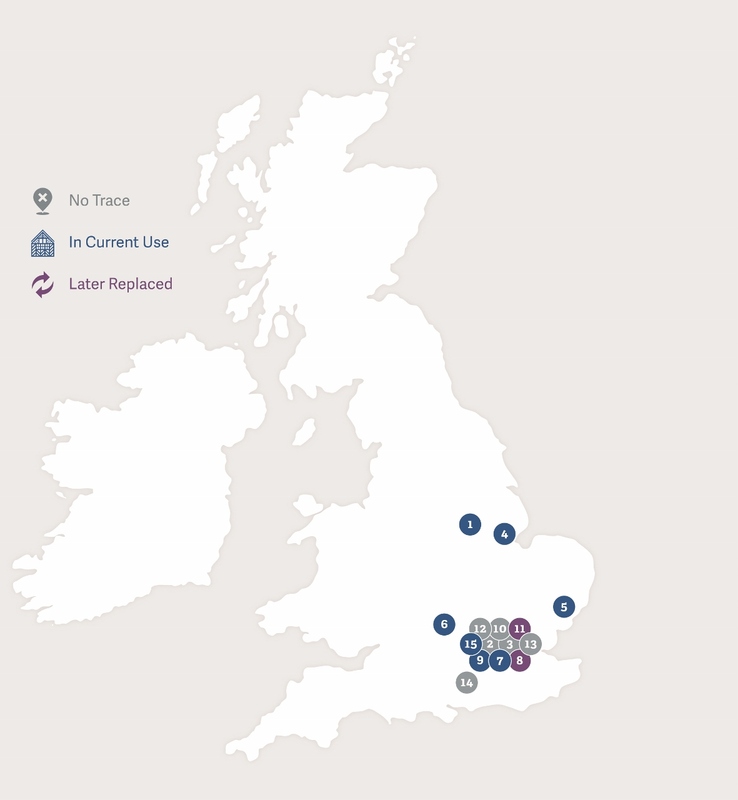 The map below shows the location of the places associated with Thomas Cromwell discussed in this article.